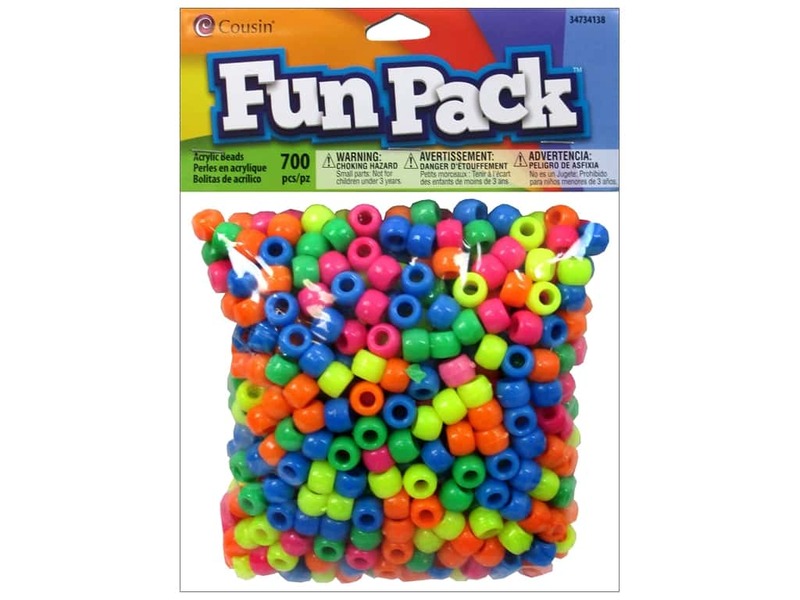 Description: Cousin Fun Packs are great for groups of kids, for birthday parties and school classrooms. Entertain and amuse your little crafters with bright, colorful beads and everything else you need to create unique projects that will put a smile on their faces. Package includes 5/16 inch pony beads. 700 pc. Neon Mix - A variety of colors that may include Green, Blue, Yellow, Pink, and Orange.